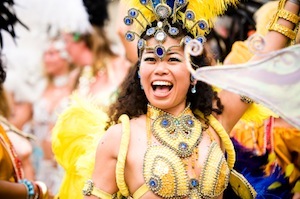 Brazil is known worldwide for lively parties, beautiful people and an appreciation for living life passionately. Whether your interests are historical, cultural, architectural, artistic, playful or even restful, there’s something for you in Brazil. Brazil is a fairly urbanized country with 84 of every 100 citizens living in a large town or city. While providing similar friendliness and social culture, each of Brazil’s cities is unique in geography, architecture and things to do and see. Salvador, the most African-influenced city in Brazil is also the country’s oldest municipality. A beautiful beach-side metropolis rich in culture, the food is also rich with coconut milk and dendê (orange palm oil) and sweet with tropical fruits. Home to more than 17 million people, Sao Paulo is the largest city in South America, a mix of cultures and cuisines is reflected in this city’s many restaurants, theatres, opera and dance companies. Rio de Janeiro is the most visited city in the southern hemisphere and is known for its carnivals, natural settings and beaches; one of the most famous landmarks in the world is Rio’s giant statue of Christ the Redeemer (‘Cristo Redentor’) atop Corcovado mountain, named one of the New Seven Wonders of the World. While enjoying Brazil, it is important to exert caution regarding safety. It’s advisable to not wear flashy jewelry or to keep cameras or other electronics exposed. One should always be aware of surroundings and not walk alone at night; also Favela’s or Brazilian shanty towns are best avoided. The friendly people of Brazil love football, dancing, food, music and of course, celebrations! There is always a festival going on somewhere and the cities are filled with excellent restaurants and hotels. Located on a private peninsula near Florianopolis on Brazil’s south coast, Ponta dos Ganchos is one of the country’s most exclusive beach resorts, a nearby island bar, illuminated by torches at night is one of the unique features of this property; the Intercontinental group has made its mark in Brazil with luxury five-star properties in both Rio and Sao Paulo; and of course, Rio’s infamous Copacabana still exists in its opulent splendour, complete with the Hotel Cipriani and the Pérgula Restaurants. A little research or simply asking around will lead you to some marvelous meals, cocktails or snacks. Research and check out some of the many sights of Brazil, and if you have the chance to tour the world’s second longest river, the Amazon (& home to half of the planet’s remaining rainforests), it will be a side-trip you’ll never forget. A popular expression in Brazil is “Que saudade!” (kee sah-ooh-dah-jee) the word saudade has no direct English translation, and is a major source of linguistic pride for Brazilians, who use “Que saudade” when missing something so desperately one has a heartache over it. Once you take the time to get to know Brazil and its people, you may feel Que saudade and want to return.